Arguably the most BPP (Beards-Per-Podcast) we've had in a while, House of Rebels is proud to present Red Stone Lake, written by Daniel Bagg. "I used to love this place..." Redstone is a written piece about how the places we inhabit influence our lives. What happens when the ones we love and the places we love become emotionally entwined and how does our perspective of them change when we have one but not the other. Daniel Bagg is an emerging playwright and composer currently residing in Toronto, Ontario. Daniel recently graduated from York University specializing in Devised Theatre, playwriting and composition. With Who's There Theatre he co-wrote and composed for The Invisible City for the Toronto Fringe Festival. In 2016 Daniel will be composing for Tinkerspace Theatres production of Swallow and Then They Fights' second iteration of 10/10/10. Daniel would like to send his thanks to Ross and Alanna and everyone else involved in the project. Matthew is a graduate of Second City’s Conservatory Program, and Algonquin college’s Theatre program. He is a Toronto area actor and comedian who’s previous works include Urban Legends (History Channel), Dual Suspects (Global) and Erik The Pilllager (Mondo). 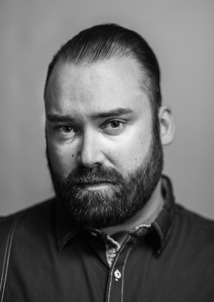 Some of his theatre credits include Hemlock, Soc, and Two Smoking Barrels (Team Awesome Theatre co.), The Void (Bad Dog Short Play Festival), and Free Beer Party Of Canada (Ottawa Fringe Festival). Matthew can also be seen around Toronto performing with his sketch duo Palcoholics, and he is also a cast member of Sunday Night Live with The Sketchersons at Comedy Bar. Raechel is in her graduating year at York University in the Acting Conservatory. She just finished up her performance in Cloud Nine by Caryl Churchill as Edward and Betty directed by Nigel Shawn Williams. Now she is eagerly beginning work on Brebeufs Ghost's by Daniel David Moses directed by Yvette Nolan. Raechel is absolutely thrilled to be a part of such an incredible project, and to have the privilege to delve into the work of these fascinating writers. Having enjoyed the experience immensely prior to this piece, she is so pleased to be back. Have fun, and enjoy!